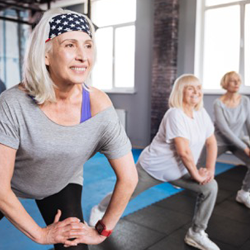 You can protect yourself from hip fractures by eating a diet that includes calcium and Vitamin D, creating a safe home environment and regularly participating in a program of moderate exercise. Most hip fractures are caused by weak bone and the impact from a fall. Hip fractures are breaks in the thighbone (femur) just below the hip joint. They are serious injuries and can limit mobility and independence. Hip fractures generally require surgery, hospitalization and extended rehabilitation. Nutrition: Low body weight and poor nutrition. Lifestyle: Smoking, excessive alcohol use, and lack of exercise. Whatever your age or health status, you need calcium to keep your bones healthy. Even if women have gone through menopause or already have osteoporosis, increasing intake of calcium and Vitamin D can decrease the risk of fracture. Vitamin D assists your body to absorb calcium. Most hip fractures occur as a result of a fall and most falls occur in the home. Many falls can be prevented by simple home safety improvements, such as removing clutter, providing enough lighting or adding safety bars in bathrooms. Hip thrust. Lie on the floor with knees bent and feet flat on the floor. Lift hips off the floor, pause and lower. 12 reps, 3 sets, 3 times per week. Dead lift. Holding a 5 to 10 pound dumbbell in each hand, lean forward with arms extended toward the floor. Lift one leg so that your back and leg are parallel to the floor. 8 reps on each leg, 3 sets, 3 times per week. Forward lunge. Take a long step forward with one foot. Drop into a lunge position. Return to standing position. 15 reps on each leg, 3 times per week. You can protect yourself from falls and fractured hips by changing your diet and making bone-healthy choices, reevaluating your home to add safety precautions, and adding your favorite hip cardio and strengthening exercises at least three times per week. Hip hip hooray!